• You believe that schools should accept responsibility for providing the best education possible. We believe that our job is to teach our students to become the people we would want to have as our neighbors, maybe even our friends. Mt. Helix Academy is a school under the umbrella of The Institute for Effective Education, a California non-profit corporation [501[c](3)] in good standing. 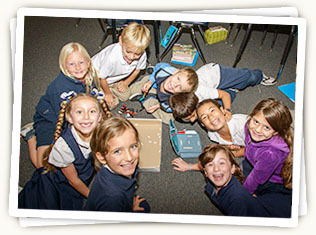 Since 1972, TIEE has invested in its present and future ability to deliver the highest quality education to the San Diego community. TIEE’s non-profit status means that all revenue is devoted to its program efforts, including direct service, support service, and capitalization. It means that your donation is tax-deductible. Sound financial practices and planning, multi-use facilities, programs of perennial commendation, caring teachers and therapists, and senior professionals who can guide and train them comprise the nucleus of TIEE’s service. In making your donation, you can be confident that TIEE will provide quality education to the San Diego community for many, many years. You can also be confident that TIEE will honor your wishes in how your donation will be used. There are many ways that you can donate to TIEE or arrange for donations to TIEE. Ask the stores at which you shop if they donate part of their proceeds to non-profit organizations or to private schools. Many do. They just need to be asked. Ask your employer to donate a portion of the company’s profits to TIEE. Many will and many already have programs for making donations. They need to know about worthy causes. TIEE’s mission is a worthy cause. Consider making a personal donation through payroll deduction and/or the United Way. Even small weekly or monthly donations add up over time. Consider allowing TIEE to make a monthly charge to your credit card or debit card. Consider an annual giving arrangement. Donations are tax-deductible and many people find that donating to TIEE near the end of the calendar year can be a win-win. TIEE receives the donation and they receive a tax break. Consider planning for the distribution of your estate. Marjorie Cook Taylor granted a substantial donation to TIEE that permitted the organization to acquire the property and building that is now Children’s Workshop. The Board of Directors elected to name one of TIEE’s facilities in her honor, so another of TIEE’s schools has come to be called the COOK Education Center. The acquisition of that facility was made possible in part by a grant from the estate of Martha MacCollum.